and I sure did find it cool! 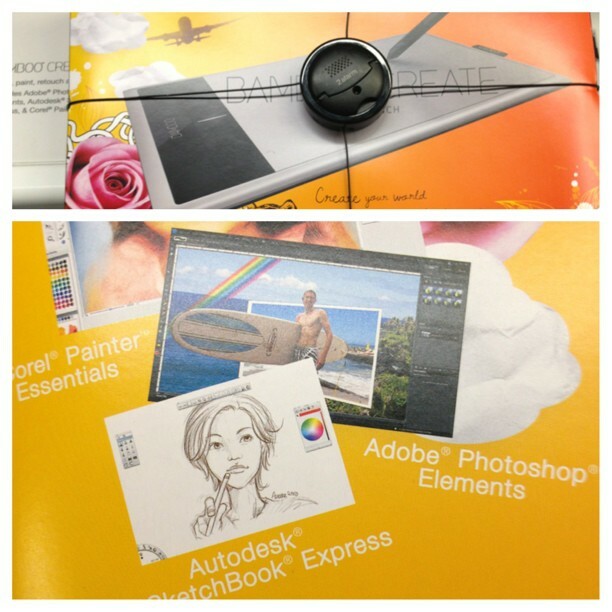 My sketch that was in the Digital Canvas and the promotion of Sketchbook on AppStore somehow found its way on the boxes of Wacom BAMBOO CREATE and BAMBOO SPLASH. How long was it there I am not quite sure, but I'm very happy to see my doodle out in public!